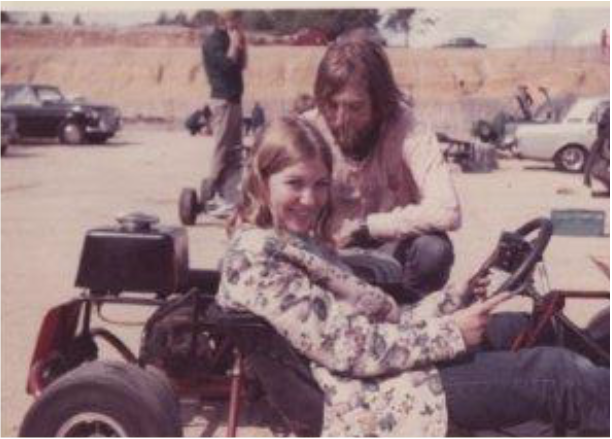 Can you put a name to a face? 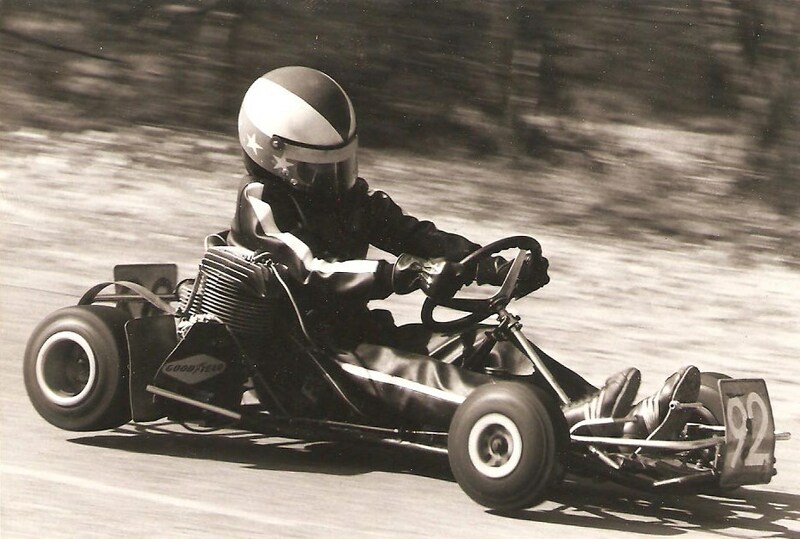 join the forum and help identify some of the stars from a time before the full-face helmet. 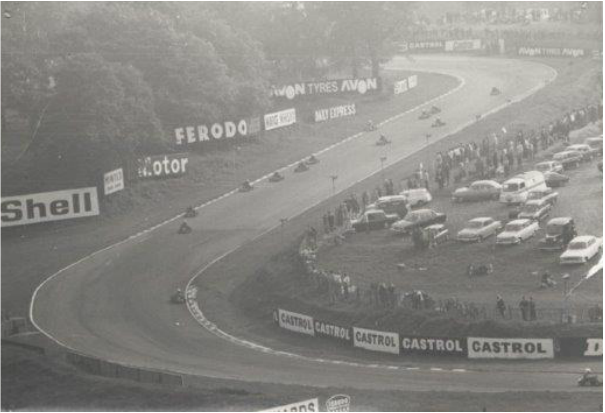 More pictures soon, you may just find yourself up here. 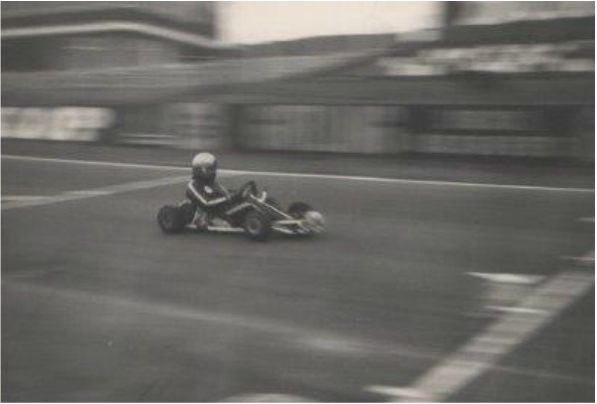 This collection of photos is from Mike Wilcox and recently recovered from the hard drive of my first computer. 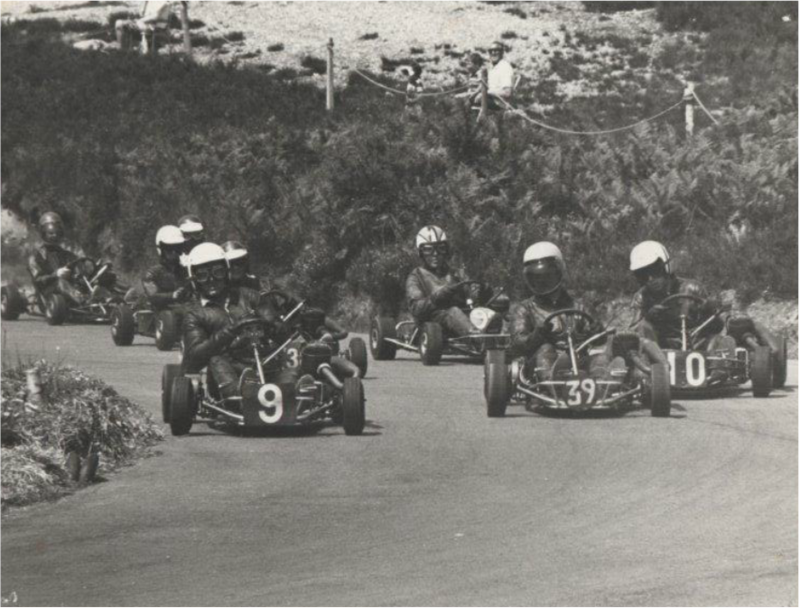 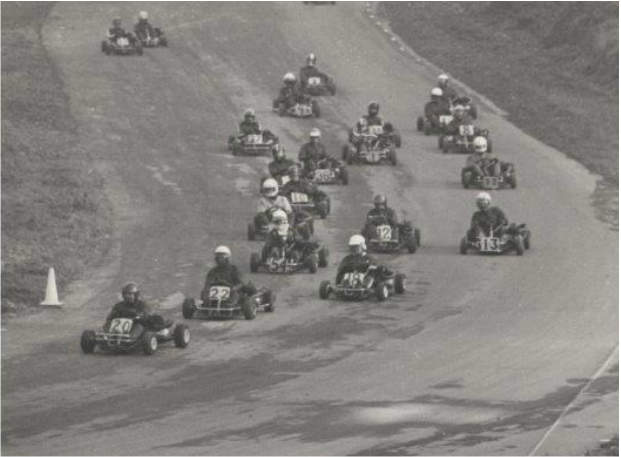 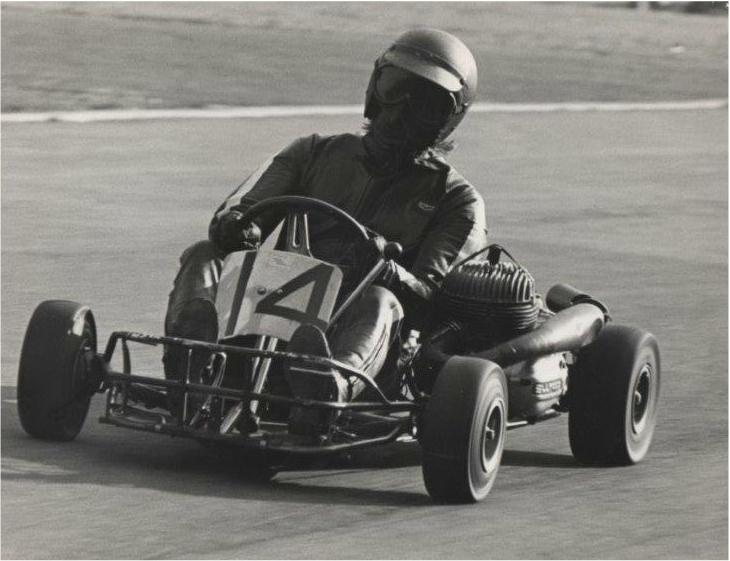 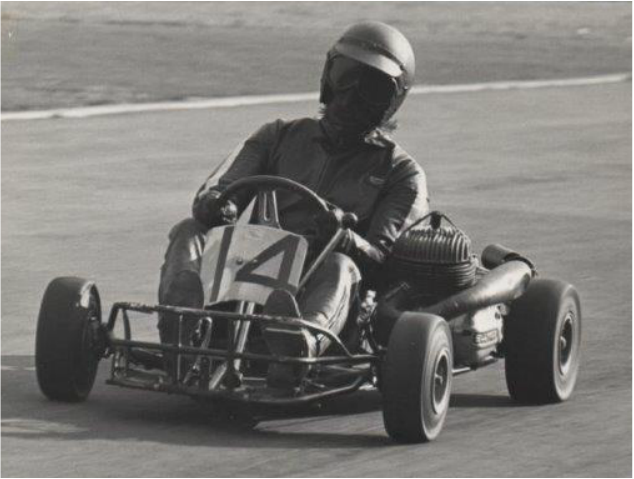 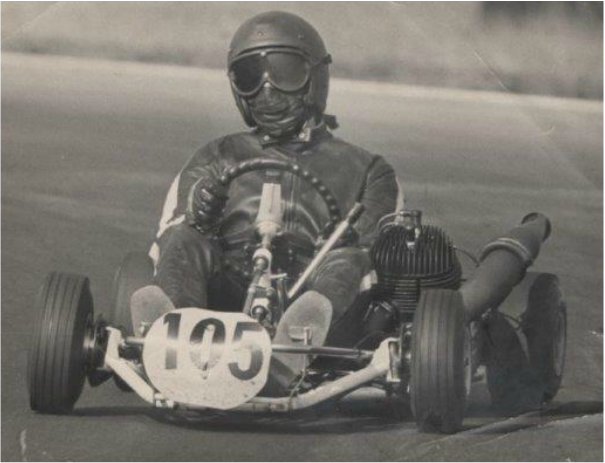 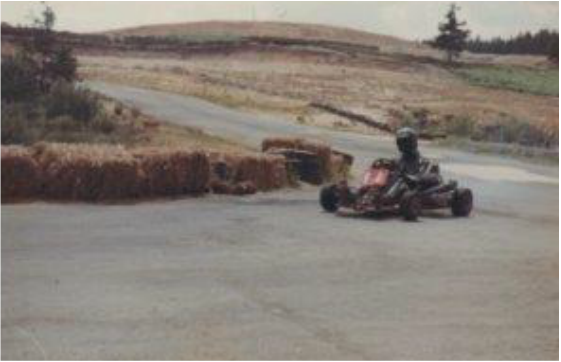 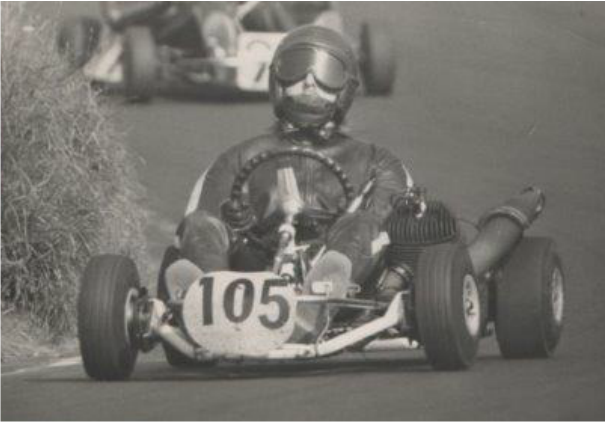 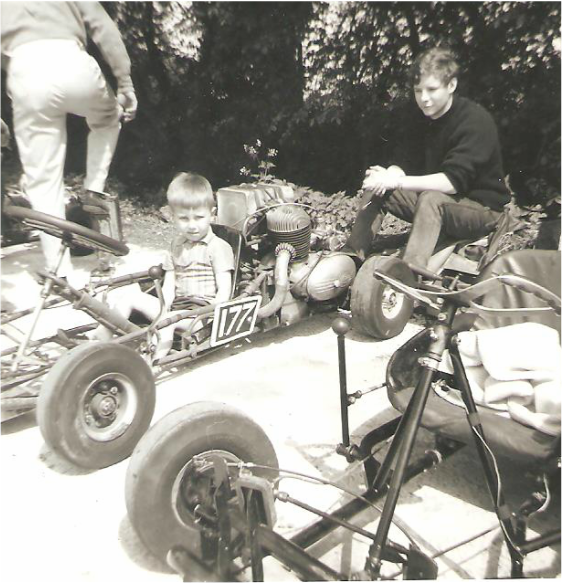 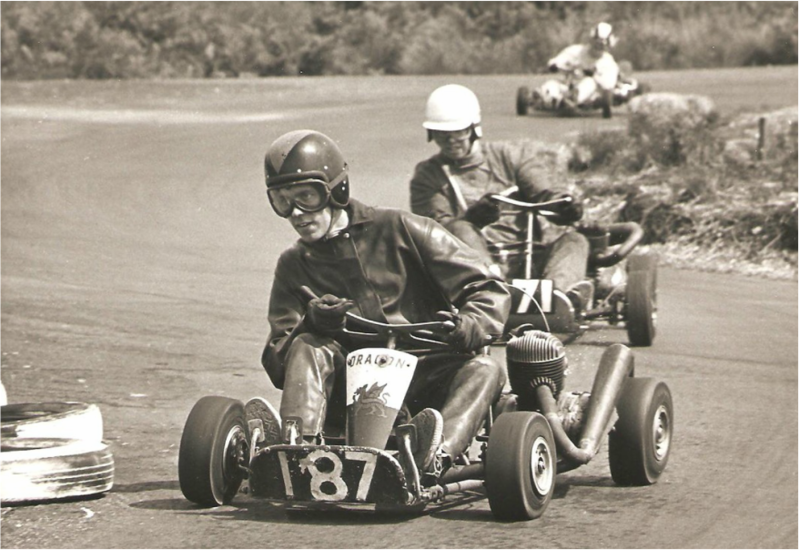 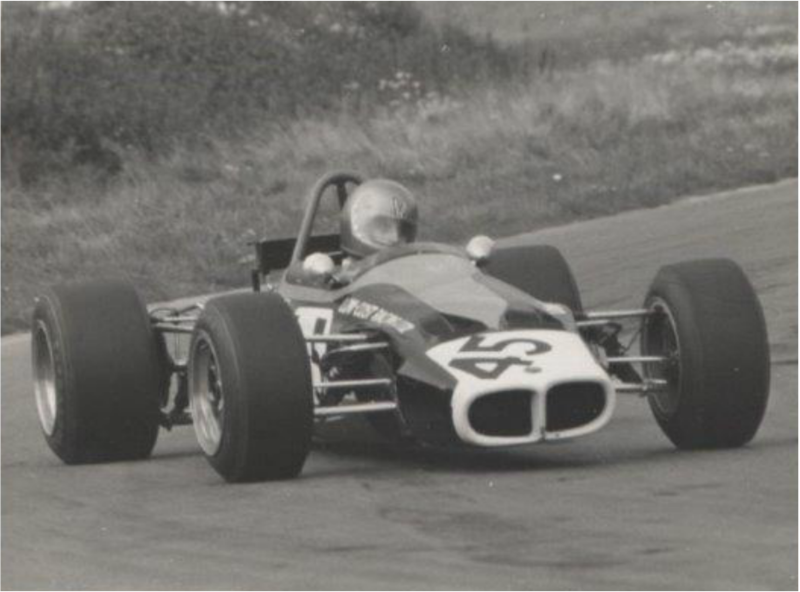 Dragon Mk1: This photo was taken at Blackbush in 1966 and the Dragon was an ex Roger Steers kart. 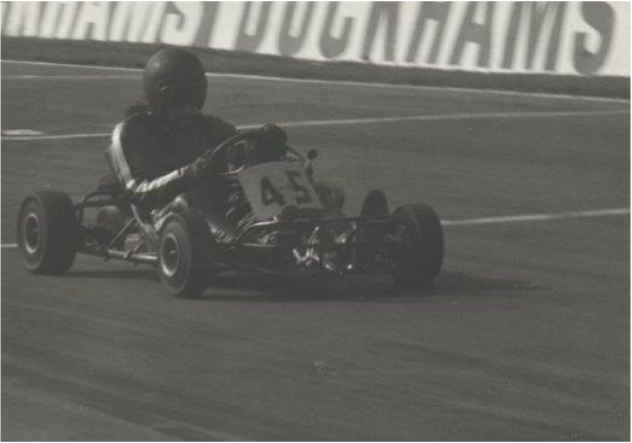 Dragon Mk2: Photo was taken at Tilbury in 1968. 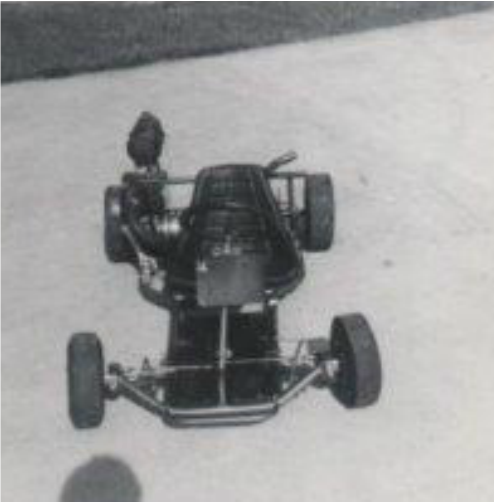 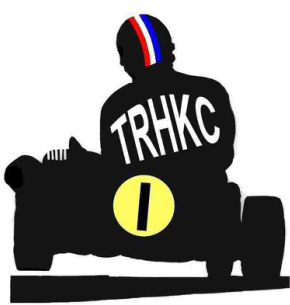 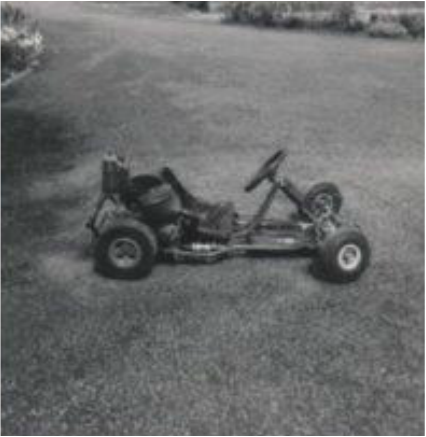 Surbiton 1965: Alan Jones's first kart. 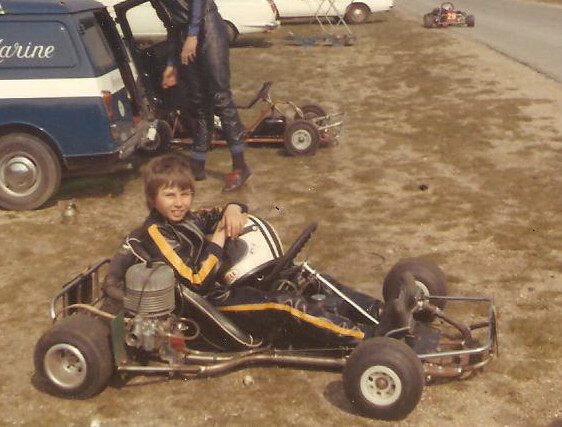 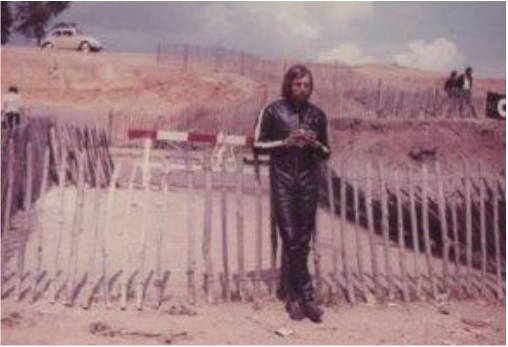 Graham at his 1st ever race meeting at Eelmore in march 1974 the chassis is a Barlotti Monza with a BM engine, Jack Barlow supplied the chassis unpainted to accommodate the alterations of the pedal positions and seat stays as Graham was so small. 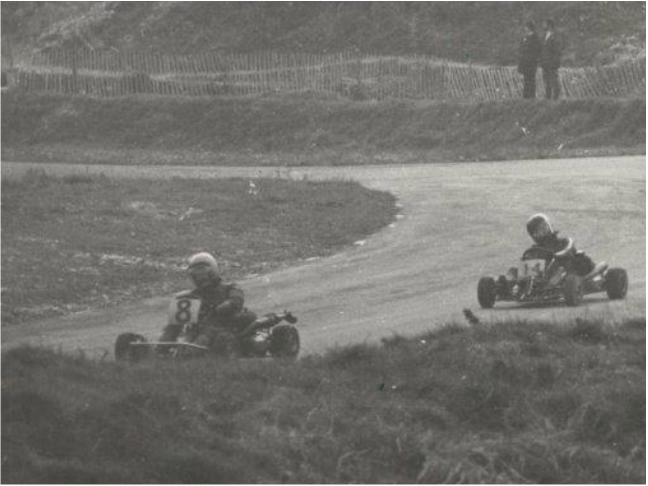 Graham in the Barlotti again at Eelmore but with a Komet K77 in 1975.